"Just when things were starting to look up for Lottie her life's gone a bit pear-shaped, wonk-ways and downside up again. Her mum's all soppy over a bloke with a horrible shemo daughter, her best pal Goose has disappeared in a cloud of nerd-gas and Lottie's in the midst of an existential crisis. There's only one thing to do - get the hell out of Cardiff and go on the road with the gorgeous Gareth Stingecombe (and his manly thighs). 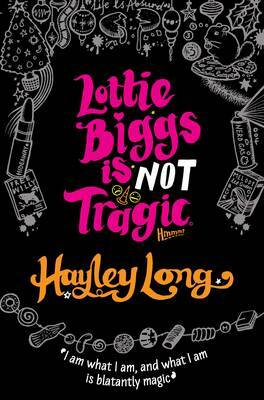 But things don't go to plan, and Lottie starts to realise she might have been a bit me me me lately...a female emo, obviously The wit of Louise Rennison meets the depth of Jacqueline Wilson." Now I haven’t read the other two books in this series but this was easy to figure out and I didn’t have to read the other to get this. Now this is a really fun book, filled with loads of laughs and loads of philosophy. It has tons of Ridonkulus pictures and in general is a light, quick and entertaining book. It’s written in first person as Lottie and is generally really easygoing and just how she feels, what’s going on the rest. It sort of like a diary but it’s not a diary. It’s just a really fun book of the day to day life of a Welsh girl that has somehow been made incredibley interesting. The writing if Funny, Quirky and how someone of that age would write. The plot is simple and fun and just keeps you going, but it’s a really happy book and leaves you so refreshed and just so happy once you have read it. The characters are all so funny and uplifiting. I mean Gareth come along as a total oddball and gave me a fair few laughs and Goose, well she’s quit something. I really did like this book. It’s a funny, happy, upliftingly hilarious book that most definitely kept me entertained.